Classic Tyres (‘the business’) is a New Zealand independent owner/operated company which has been trading since 1991. Originally created at the behest of Vintage Tyres Supplies in the uncertain vacuum following the ceasation of cross-ply tyre manufacturing in NZ, by both Dunlop (South Pacific Tyres) and Bridgestone-Firestone. Since that time, almost all tyres suited to Veteran, Vintage and Classic cars have, by necessity, become imported items; and Classic Tyres, through a track record and by forging alliances with leading overseas speciality tyre factors, has become the leading NZ importer. To service the requirements of the NZ Veteran, Vintage and Classic tyres market, Classic Tyres regularly imports in quantity from overseas sources, usually in excess of a dozen LCL container shipments per year. In reality >90% of sales of tyres for most Veteran, Vintage and Classics can be contained within a ‘Core Stock’ holding of just over 140 sizes, from which dispatch can usually be made on the same day as the inquiry. For the rest, if of particular brand, size and/or acknowledged limited original application – e.g. USA-inspired redline ‘fashion-tyres’ – the product can usually be indented within a short time-frame; there is no endless waiting ‘to fill a container…’ It is however, prudent to plan ahead. 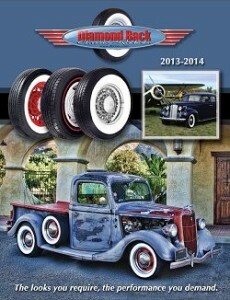 The Catalogue pages installed in the Classic Tyres website have been kindly authorized by Vintage Tyres Supplies (UK), Universal Vintage Tire (USA), and Diamond Back Classics, and cover a wide selection of the more popular sizes; these listings by no means constitue the entire world availability. In short, there are many, many more brands and sizes out there – and nothing is ever too obscure, or difficult. If, after a browse of the Catalogue pages, and consultation of the current Core Stock List, you still cannot see the elusive tyre which you are looking for – PLEASE ASK. There may be a simple answer, or an alternative in another guise. Nothing in the tyres game remains static for long, and there is always something ‘new’ for consideration. Classic Tyres does not operate a ‘shopping cart’ typical of many order-on-line web-sites, simply because of the nature of things in multiple choice. Most customers usually need to be talked through their full range of options, and of current availability. When making an inquiry, particularly by e-mail, always give the fullest information… e.g. do not just ask for (say) a 6.00-16” as you will be asked to qualify the application – if a ‘normal’ car, P, S, H or V-rated, whitewall, NDT Military, mud-traction, competition, or if there is a 100% or near-equivalent suitable radial available. Best to state the year, make and model; and talk to the experts! Tyres may be collected by arrangement from the Mount Maunganui warehouse – Classic Tyres is an importer and distributor, not a tyre shop, and there are no fitting facilities. For the majority of customers, tyres are shipped country-wide by PBT Couriers, and for those orders which are in stock, shipment can usually be made same day subject a confirmed payment acceptance, for following day delivery (North Island only, shipped items to South Island are on a 2-3 day service). For ease of payment. VISA and MasterCard facilities are offered to allow for quick dispatch; alternatively, payment may be direct-credited to a nominated NZ Bank account, or by mailed cheque. We do not accept AmEx. All tyres to be paid for prior to dispatch. We DO NOT offer deferred terms for tyres purchase – such as ‘20th-of-next-month’ or other methods. This is strictly a – ‘you pay, we send tyres’ business. 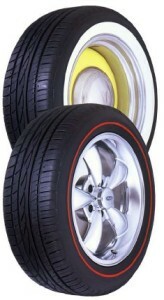 All tyres sold by Classic Tyres (as agents and re-sellers) carry the manufacturers’ own warranties against defects in manufacture, and should a tyre be found to be defective at time of fitting, a replacement of the same size and brand will be offered free of charge upon return of the faulty tyre. For tyres found to be faulty through manufacture after elapsed time (excludes normal running ‘wear and tear’) a replacement %age applies up to 5 year (max.) limit; i.e. if returned after two years, a 60% max replacement value would apply. In certain instances, a claim may need to be referred to the overseas manufacturer for authorization, which may take a few days. The period of Warranty runs from the date of Sale. In the event of tyres which have been in stock for over 6 years, these are deemed to be outside the Warranty period offered by the (all/any) manufacturer, and this fact will be disclosed at time of purchase – usually end of lines, or unpopular sizes – with a reduced price consideration. Classic Tyres does not seek to actively stock RQ’s (= remould quality), or DA’s (tyres which have blemishes = defective appearance). All tyres are normal quality. We do not deal in used, or part worn tyres of any description, or part exchange for any tyre which has not been imported by ourselves. No tyre should be returned to Classic Tyres without firstly contacting the office. Returns will ONLY be accepted where there is a Warranty issue. There is a ‘no returns’ policy for any special indent, or tyres which have been fitted onto a rim – you must choose wisely, and to have selected the correct tyre for the situation. In order to pre-empt customer errors in ordering, you will invariably be asked for the year/make/model application, and if you don’t know, Classic Tyres has comprehensive Tyre Guide Manuals which may be consulted. Because Classic Tyres (the business) has been trading since 1991, many competitiors in the tyres business have also come and gone, some successful and some not so… just because you may have seen your tyres advertised elsewhere (sometimes as ‘parallel imports’) with another outfit, always inquire with Classic Tyres for a price and availability. We do not seek to undercut the opposition just to make a sale, merely to offer a comparison – you may be surprised at the price differential!